You are currently browsing the tag archive for the ‘leaves’ tag. 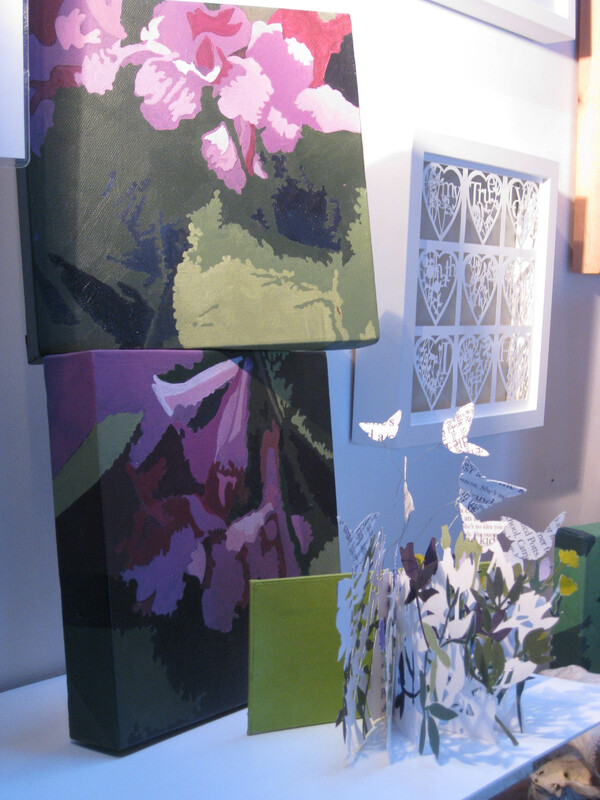 Sarah and I have signed up with Network Artists for the Open Studios in June. We’ll probably be open for three of the weekends, not certain of the dates yet. 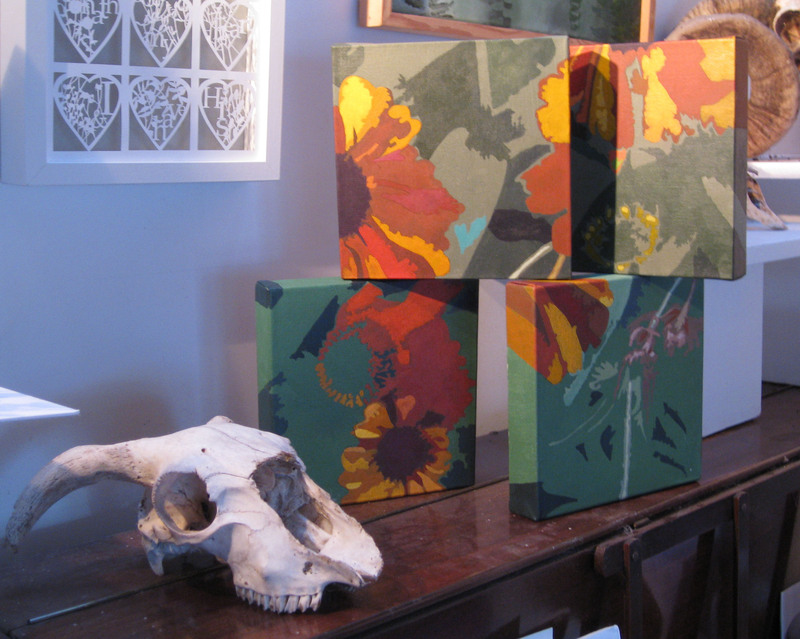 I’m still busy with my flower paintings on a variety of small canvasses. They’re mostly square and in groups. 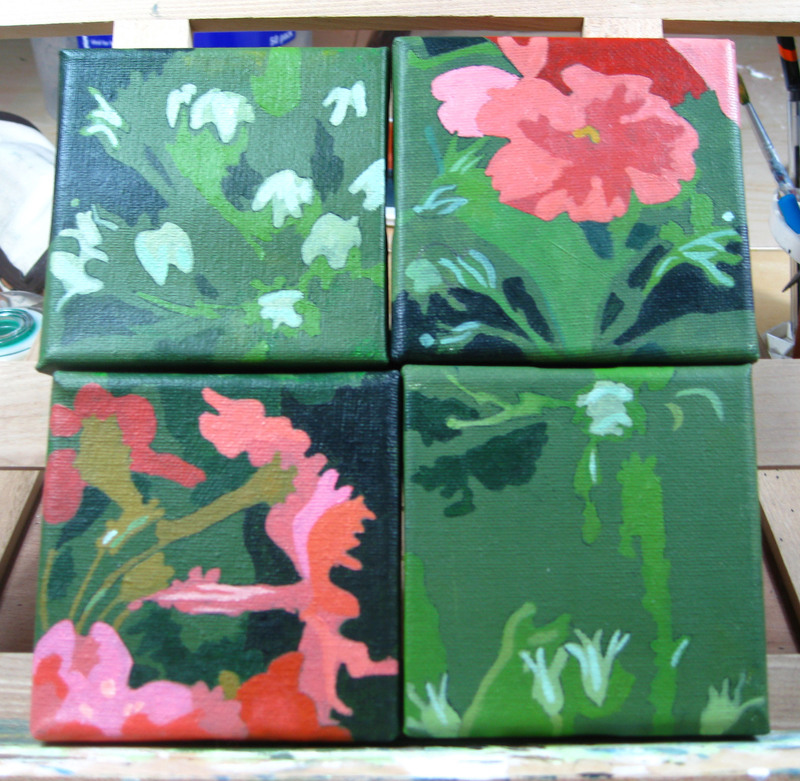 They are nearly all on box canvasses, but I’m staring to paint some on the normal slim type of canvas too. I’ve used quite a lot of purple, mauve and lilac colours, so I’m moving into yellows and orange at the moment.